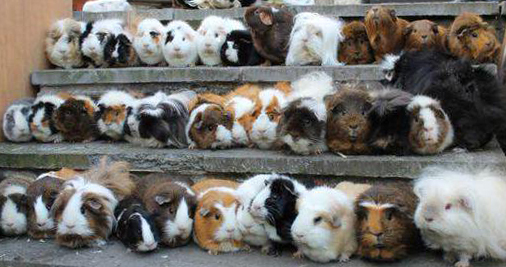 The Various Guinea Pig breeds and their Different Appearances. Among small animal types, our Cavy friends have been gaining steady popularity with the young and adults alike. 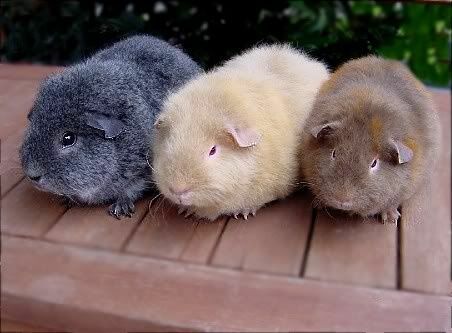 With an average weight of 1kg and a few variety of coats (each with its own uniqueness), Guinea Pigs are a little inbetween Rabbits and Hamsters. Which breed suits you best? The first of all cavy breeds, American Shorthairs are exactly as their names state — smooth, short coats with minimal maintenance. Ancestors of the American Shorthair is none other than the Tschudi Guinea Pig, after numerous cross breeding. Also known as the number one pick for starter piggies! The breed that can be easily mistaken at first glance for the American Shorthair is none other than the Teddy Guinea Pig, due to both short coats and rounder noses. The name Teddy is derived from this unique coat— coarse and wiry hair...Teddy-like. This rounder nose is termed "Roman" nose. 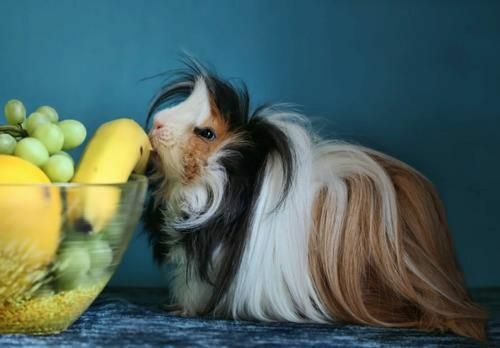 Better known by the name "Sheltie" in certain countries, Silkie Guinea Pigs have no hair rosettes, but instead have a long smooth coat that remind you of the kid in school with the sleekest hairdo all the time. Take a look from the top, you'd notice an overall teardrop shape! Often jokingly referred to as moving hair wigs, the Peruvian Cavy is most commonly mistaken for Sillkie due to the nature of their long coats— Peruvian has only 2 rosettes that create a parting down their backs. 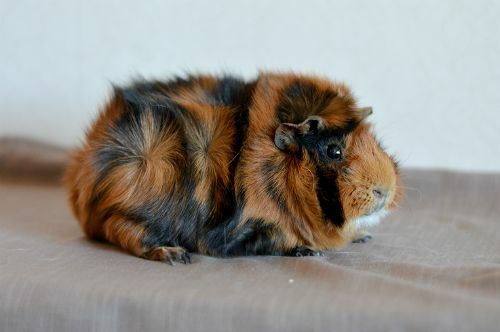 At a young age, Peruvian Cavies can also be mistaken for an Abyssinian Guinea Pig! Most remembered for their tufts of "blooming" hair rosettes, Abyssinians have much more natural whirls of hair as compared to the Peruvian. These rosettes over their body create an obvious out-of-bed look that is quite unforgetable. If a happy Piggy movement is "popcorning", these rosettes make the Abyssinian look like cute little clumps of popcorns, no? Love them natural curls? Be wowed by the Texel's coat of tight wavy perms that aren't only natural, they make any girl jealous with now neat it actualy looks despite the curls. Texels are cross-bred between Rex and Silkie. 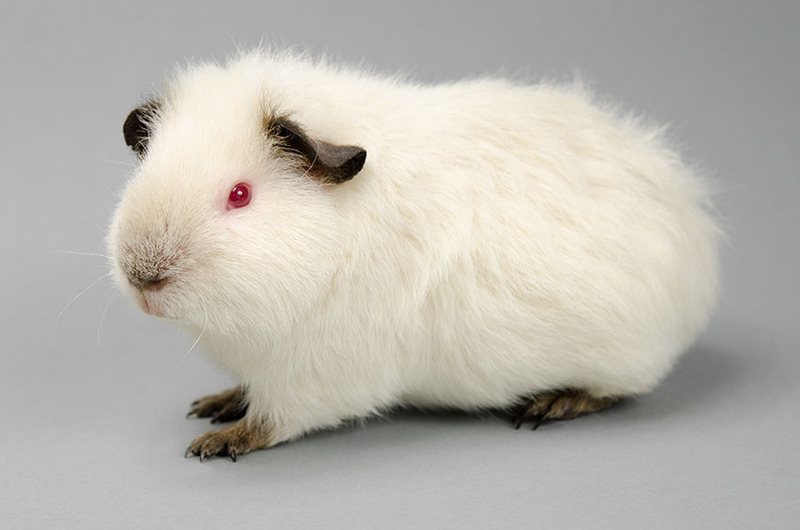 The Albino breed of all Guinea Pigs, Himalayan cavies done the same markings as "Himalayans" in other pet types (i.e. Rabbits & Cats). Short coats of mainly white in colour, seal-point markings are natural and highly sought after. Because they are Albino, red/ruby eyes are a given! 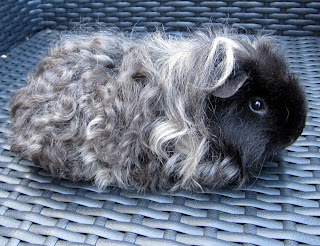 Whilst most Piggies don on special coats, this little cavy has close to no hair at all. The only coat they have is mostly skin, much like they are naked or, Skinny. What happened in the labortaries that led up to its almost naked appearance is still maintained at dermalogical purposes. Got a tip of your own? We’d love to share them with the world! Your voices are important to us and the Pets community! Our readers are encouraged to share their Pet-related reviews of a place and its services, experiences, even lifestyle tips and tricks to better our Pets lives, on our platform, one paw at a time. Be a part of an educational and informative Pets community because at ThePetsDialogue, your voices could make a huge difference on a global scale.